CPE Media News (11/15/2018) – Arena Minerals Inc. (TSX-V: AN) has entered into a binding share purchase agreement to acquire 100% of Antofalla Minerals S.A., which owns lithium brine projects located in Argentina. 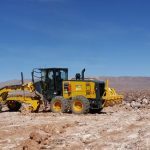 Antofalla Minerals’ flagship project covers 4,000 hectares of Salar de Antofalla immediately south and adjacent to Albemarle Corporation’s Antofalla project. Antofalla Minerals also has projects in the Hombre Muerto and Pocitos salars, and a pending claim for another 2,000 hectares in Antofalla South. The purchase price is US $400,000 in cash and 10,000,000 common shares of Arena. The vendors are not entitled to any other post-closing royalties or other payments. The acquisition is expected to close by end of the year. TORONTO, Nov. 15, 2018 — Arena Minerals Inc. (“Arena” or the “Company”) (TSX-V: AN) is pleased to announce that the Company has entered into a binding Share Purchase Agreement (the “Agreement”) to acquire 100% of Antofalla Minerals S.A. (“AMSA”), which owns lithium brine projects located in Argentina. AMSA’s flagship project covers 4,000 hectares of Salar de Antofalla immediately south and adjacent to Albemarle Corporation’s Antofalla project. AMSA also has projects in the Hombre Muerto and Pocitos salars, and a pending claim for another 2,000 hectares in Antofalla South. The purchase price for all of the outstanding shares of AMSA is US$400,000 in cash and 10,000,000 common shares of Arena. The vendors are not entitled to any other post-closing royalties or other payments. Completion of the acquisition is subject to receipt of all required regulatory approvals and is expected to occur prior to the end of the year. “The acquisition is Arena’s first step towards becoming a low-cost lithium brine producer, by employing our decades worth of brine processing experience. We also retain a network of local technical capability and manpower, which is being reassembled to move this project forward.” said Mr. William Randall, President and Chief Executive Officer of Arena Minerals. AMSA controls interests in three salars within the lithium triangle, both in Catamarca and Salta provinces of Argentina. Three claims covering a total of 4,000 hectares of the central portion of Salar de Antofalla are located immediately south of Albemarle’s Antofalla project. The Albemarle property immediately to the north was explored in 2009-2011 by the Brazilian company Vale de Rio Doce (“Vale”). Vale drilled approximately 56 holes over the central portion of the salar. In 2016, the current owner, Albemarle Corporation, acquired the property rights from Bolland Minera S.A. (see Albemarle Corporation’s press release dated September 12, 2016). In addition to the Antofalla claims, AMSA also owns claims covering 290 hectares in Salar de Hombre Muerto within the northern basin recently acquired by POSCO from Galaxy Resources (see Galaxy’s press release dated August 28th, 2018) for a cash consideration of US$280 million. While the footprint is relatively small, the claims would enables the Company to access brine from this established salar. AMSA also owns an option over 2,000 hectares in Pocitos by means of which AMSA was granted the exclusive right to conduct exploration activities for a two years term, with the option to purchase the properties for a single payment of US$30,000 on or prior to July 2nd, 2020; and a claim on an additional 2,000 hectares in Antofalla, which is currently disputed in courts. Arena Minerals owns 80 percent of the Atacama Copper property, consisting of two projects covering approximately 7,000 hectares within the Antofagasta region of Chile. The projects are at low altitudes, within producing mining camps in infrastructure rich areas, located in the heart of Chile’s premier copper mining district. The technical and scientific aspects of this news release have been reviewed and approved by Mr. William Randall, P.Geo, who is a qualified person pursuant to NI 43-101. As the President & CEO of the Company, Mr. Randall is not considered independent. To view the website, please visit www.arenaminerals.com. In addition to featuring information regarding the Company, its management and projects, the website also contains the latest corporate news and an email registration allowing subscribers to receive news and updates directly. Please note that the website will be updated shortly, in order to reflect the impact today’s announcement on the strategy of the Company. Canada's only complete private capital and public financing news and intelligence provider.